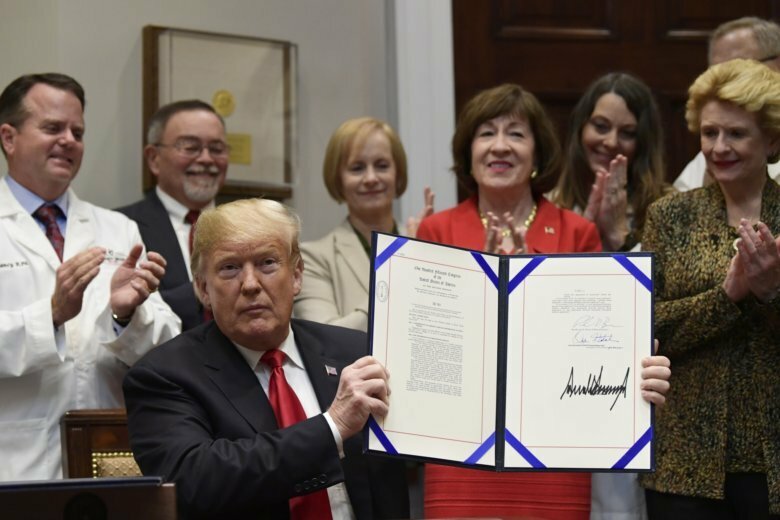 WASHINGTON (AP) — Insurers will no longer be able to bar pharmacists from telling consumers when paying cash would be cheaper than using insurance for their prescriptions, as a result of bills signed Wednesday by President Donald Trump. The two bills had broad bipartisan support as a consumer-friendly move to correct “gag rules” that many viewed as an egregious business practice. One bill applies to private health insurance and the other to Medicare. Trump complained that drug prices are “way out of whack” and “way too high.” But a recent Associated Press analysis of brand-name prescription drug prices suggests repeated strong criticism from the president hasn’t had much impact. The analysis found it’s been business as usual for drugmakers, with far more price increases than cuts. Under pharmacy “gag” rules, pharmacists have been prohibited from proactively telling consumers when their prescription would cost less if they paid for it out-of-pocket rather than using their insurance plan. Pharmacists who disobeyed risked penalties that could impact their business.